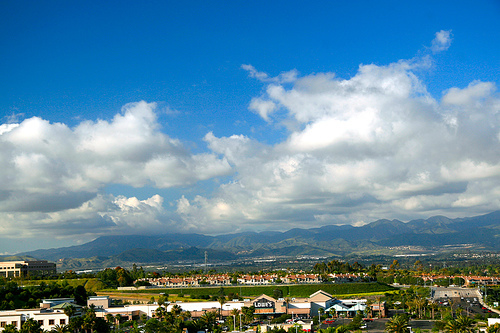 The geography of Aliso Viejo makes it ideal for the homes to have ideal mountain, hills and canyon views. Some homes even have a combination of those views plus a gorgeous golf course view. This will depend on the location within Aliso Viejo, but most neighborhoods will maximize the view if there's any. We created this page specifically for those looking for Aliso Viejo View Homes, including short sales and foreclosures. Search all Aliso Viejo homes with a view ( any view) below. If you were looking for Aliso Viejo Golf course view homes, follow the link for the specific search page for that. If you have any questions on any of these Aliso Viejo homes, please contact us via email or by phone at (949) 888-6788. Read more about the Aliso Viejo View Real Estate options. Aliso Viejo has many options for those looking for real estate with views. Being such a newer city, the builders maximized the use of views within the designs. Many homes were built east facing, to maximize, again, the views and sunlight. Many people would consider Aliso Viejo 'cookie cutter' as it is all tract homes, but Aliso Viejo is much more than that. The landscape and hilly terrain helps a lot for the views perspective and some places in Aliso have beautiful views of the Saddleback Valley. Neighborhoods like Silver Oaks, Canyon View Estates and Kensington are ideal for those high end luxury homes with gorgeous views, but there's also more affordable homes with views, and many condos that also have the views as a plus.